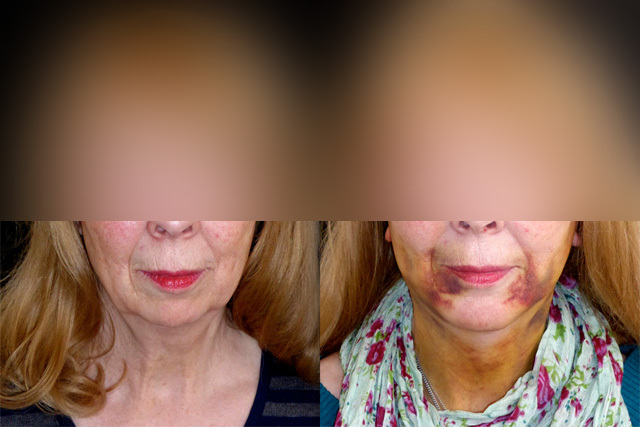 Sophie came to see me about her neck and jawline and upper eyelids following recommendation by a friend who I had treated previously. 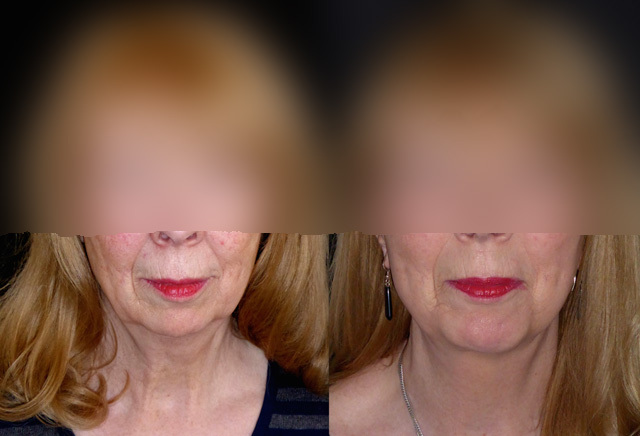 Her main concerns were the lower facial third and neck line, but she also felt her eyes looked tired. She had a lovely long neck but her lack of chin projection meant that even with a neck lift, her neck chin angle would never be ideal. 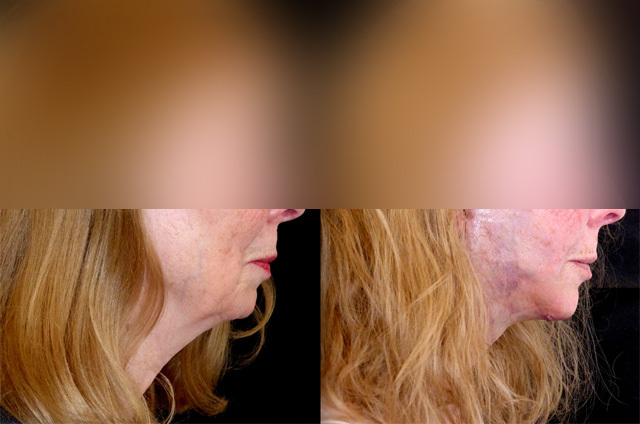 She agreed to let me insert a contoured anatomical chin implant at the same time as lifting her face and neck and performing under chin liposuction and a corset platysmaplasty. She also had her eyelids done, but you will have to take my word for that! Sophie has done brilliantly. That is a lot of surgery under local anaesthetic but in total only took 4 hours during most of which time she slept. 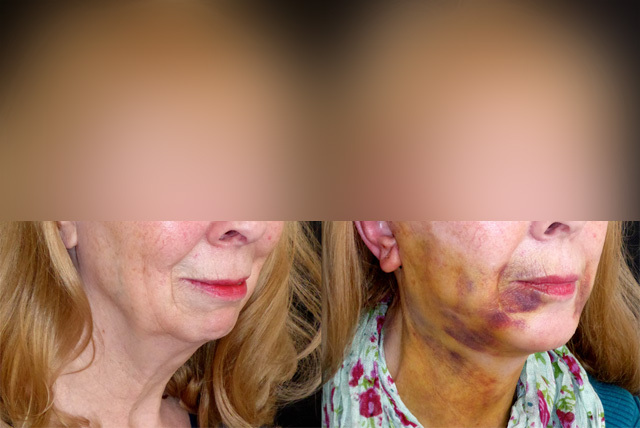 Already we can see the huge difference the chin implant is going to make. 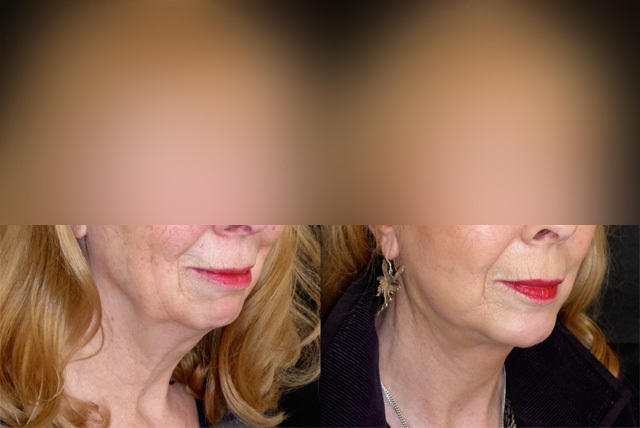 She has a beautiful neck chin angle and on frontal view her lower face is more angular creating a pleasing jawline curve. Sophie is back for removal of her stitches and doing really well. Still swollen and bruised (although she did need extensive dissection to achieve the ideal result) but pain free and feeling great. 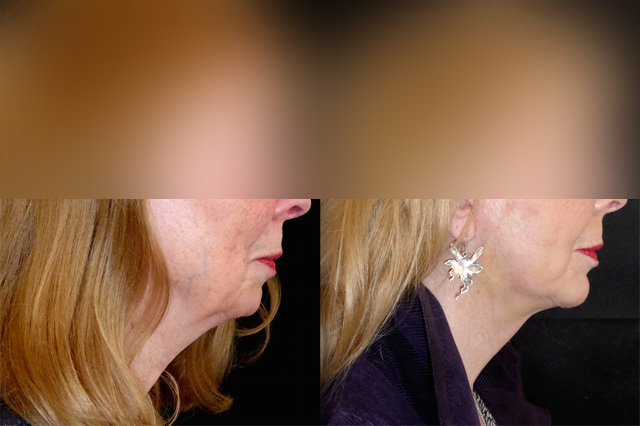 Her lower face and neck has been transformed by surgery and already her profile improvement is evident. Another 10-14 days and her bruising should all be settled. 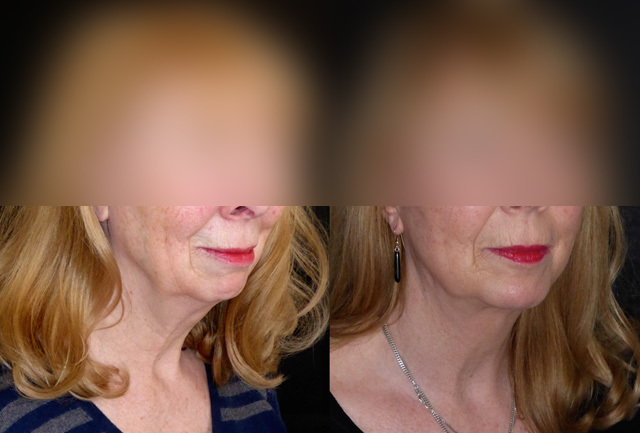 I am so grateful to her for allowing her story to be documented as she is a perfect example of the huge difference subtle chin implantation can make with facelift surgery. Sophie is back for review and looks a million dollars. 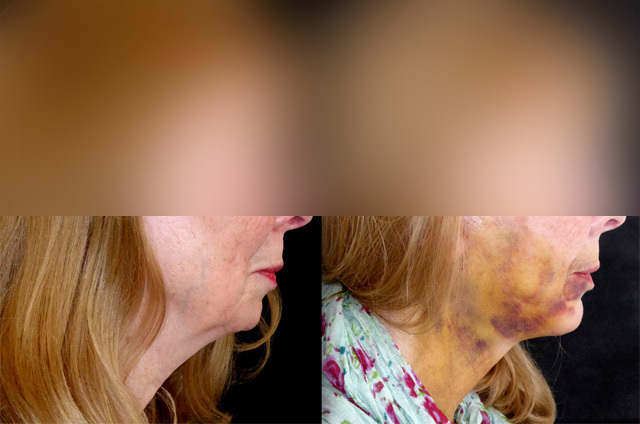 All swelling and bruising has gone and her neck line is wonderful. 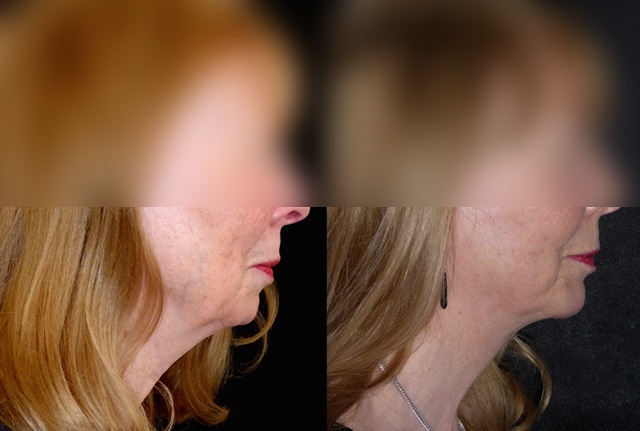 Great mid facial cheek volume and the chin implant has brought balance to her lower face. She has healed really really well and the scars are now barely visible. If you could see her eyes, they are beautifully framed with eyeliner and mascara! Sophie has really settled beautifully into her face. 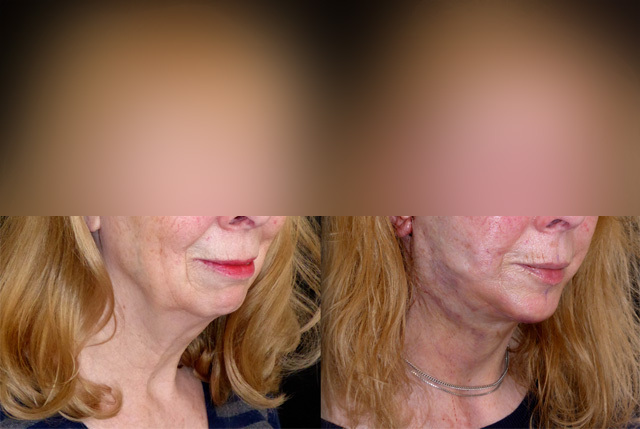 Almost a year out from surgery her mid facial volume remains and there has been very little relaxation of her SMAS. 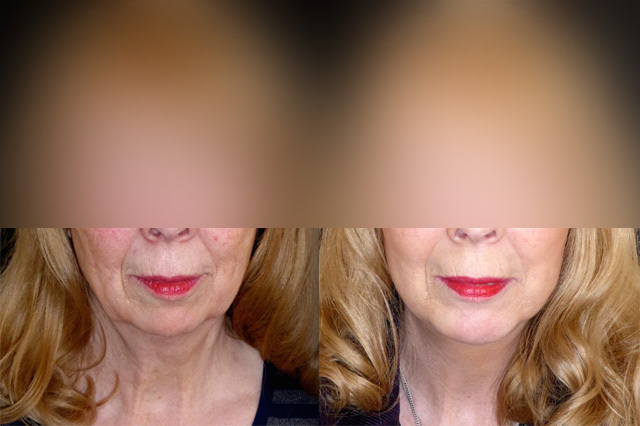 Her chin implant gives lovely balance to her neck line and lower facial third. I didn’t aggressively lift or remove her SMAS and purposefully left a little jowl. 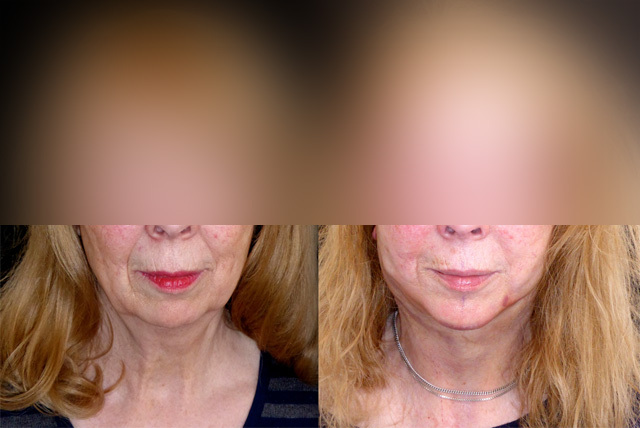 This has left a balanced harmonious result which refreshes whilst looking natural and unoperated.